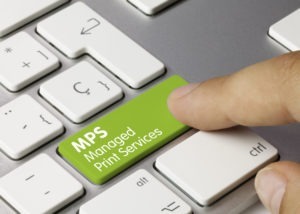 Using a managed print service company is something many businesses have been doing to cut down on printing costs. That’s not the only benefit thatmanaged print services have though. They can also provide additional recovery and security options. A managed print service centralizes your document processing and reduces output costs by digitizing your documents. Here are ten other ways that using a MPS can save your organization on costs. Using a managed print service option gives your employees more time to focus on important tasks and less on printer frustrations. Your employees won’t have to fetch documents, spend time on fixing paper jams, or handing out documents once they’re printed out. Cutting down on how many printers you have in the office reduces the need for extra supplies. You’ll use less toner and ink than if you had printers on every employee’s desk. You might not know that up to 50 percent of documents printed in the office are tossed to the side and never read. It’s pointless to waste toner and ink on paper that just gets recycled or thrown away. Using a service prompts your employees to print less and cuts back on paper waste by promoting duplex printing. Using a MPS means you’ll be using more advanced printers and new technology. Companies stay on top of regular maintenance and update software to keep your printer working and able to keep up with changing technology. You don’t have to purchase a new printer when a revolutionary change occurs. Outsourcing frees up your information technology team to work on more pressing issues in the workplace. IT professionals are paid high salaries and you don’t want to be paying them to troubleshoot basic printer problems that surface in the workplace. Important files can be lost in the event of a disaster. Using a MPS ensures that your documents stay safe if an unfortunate event occurs. You don’t want to worry about sensitive, irreplaceable files disappearing because they get backed up in the cloud. Save yourself time and money by utilizing a MPS instead of keeping the burden of printing on the shoulders of your business.